Are You A Model, Male Or Female? Then Don’t Miss This Life Time Opportunity To Be The Next Rated Super Model 2018. ➨ All Expense Paid Trip To Dubai. Registration Is for a token of Five Thousand Naira (₦5,000) only. Powered by:- Ciro Entertainment, Marseille, France. 0 Response to "Are You A Model? 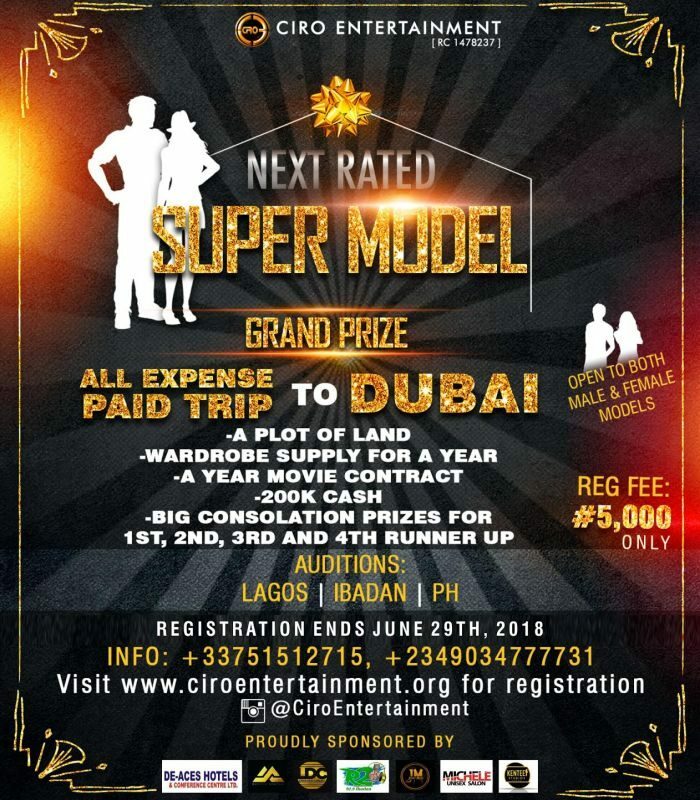 Don’t Miss This Life Time Opportunity To Be The Next Rated Super Model 2018"